O. lapethica was first described by Gotz and Reinhard from Esentepe, Northern Cyprus in 1989 and is named after Lapethos, an ancient town of that country which is now called Lapta. This species is a member of the large O. oestrifera group. O. lapethicais only known from Antalya and Cyprus, being probably at it's most frequent in the north of Cyprus where it can often be abundant, elsewhere it is both local and uncommon. 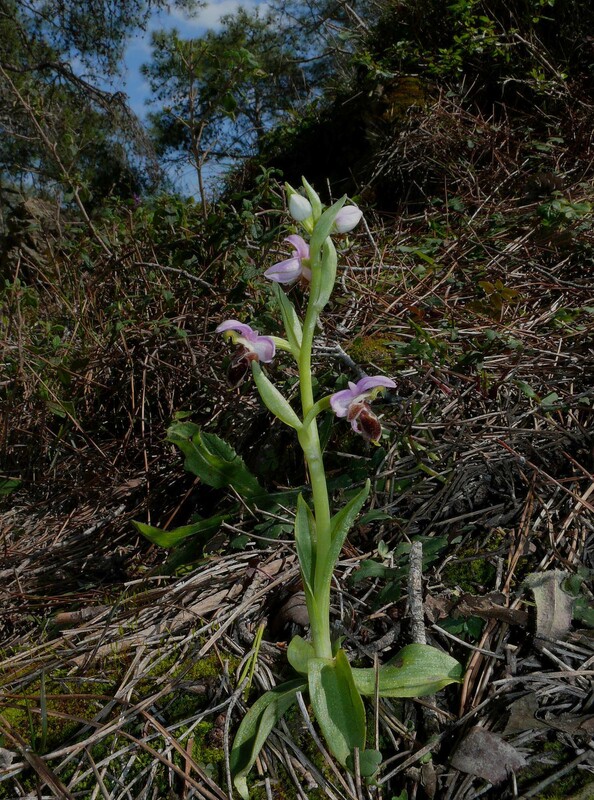 This is a small orchid which although tolerant of full sun conditions, seems to prefer a degree of shade and has in fact been found by the authors growing in deep shade in the higher pinewoods of the Akamas peninsula in southern Cyprus. 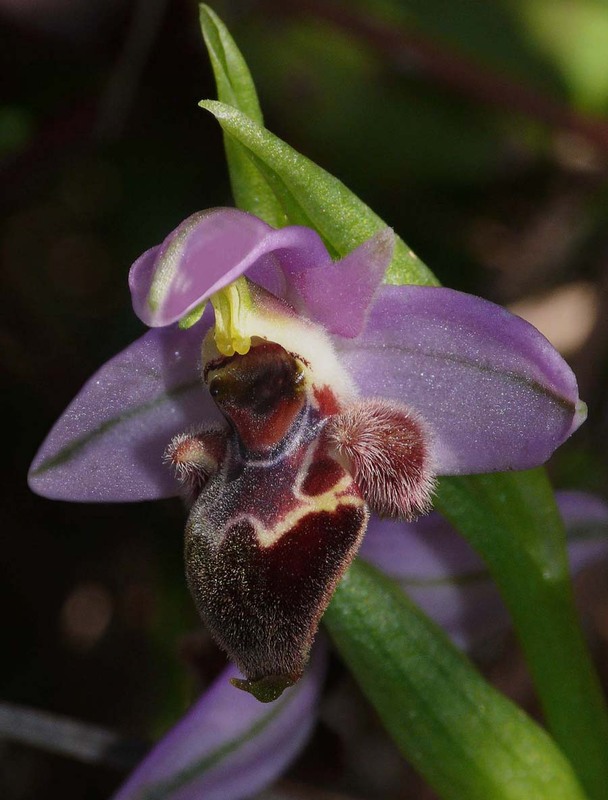 It is a distinctive little plant which in Cyprus is unlikely to be confused with any other Ophrys except perhaps O. umbilicata which shares the same sepal colouration and overall size but lacks the skinny lip shape and characteristic forward pointing, inclined attitude. 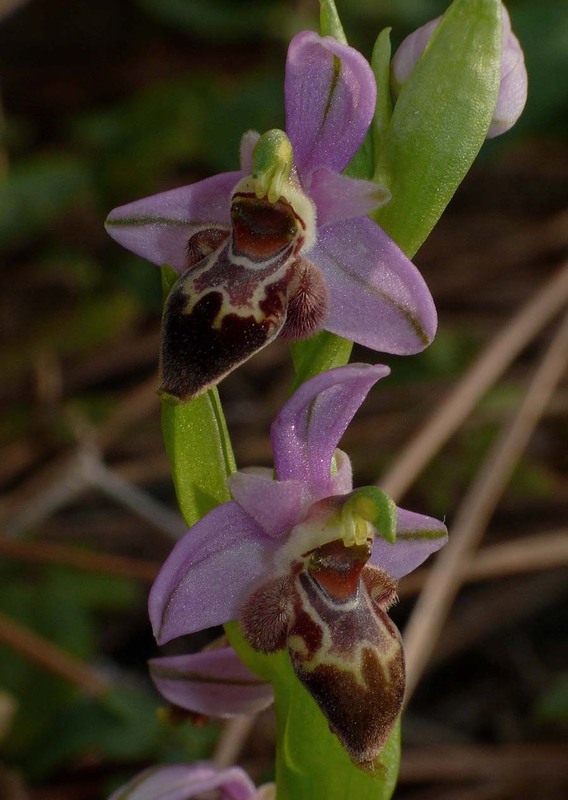 In Antalya their are several species which can cause confusion and not least O. latakiana, albeit this is an extremely rare orchid. Other distinguishing features are the high waistline of the lip, the relatively short horns (lateral lobes) which from the front appear like two small, hairy puffballs. The speculum is usually simple and confined to the top sixty percent of the lip. In O. umbilicata it is complex and generally covers the full labellum. Photo 5 is O. umbilicata and is included to provide a comparison, particularly in respect of the much lower waistline and more extensive speculum markings. The photos all come from western Cyprus and date from the first week of March.